Batena Cave is an amazing & fascinating cave which is found in Hadya zone around Hossana town. It lies with a distance of 6 kms from the town in the right turn at the gate from Addis Ababa. 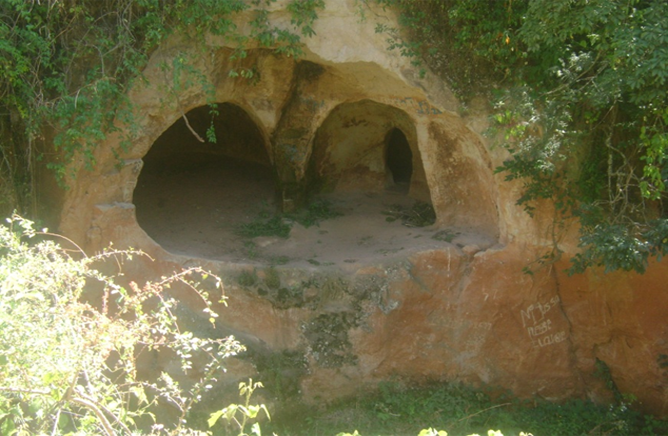 This enjoyable cave is situated on both sides of the bank of Batena river .On the right side of the bank of the river, there is a cave having its own gate & exit & it has just two rooms connected by internal doors or chanells.. On the other side, there is one big cave with five smaller caves.